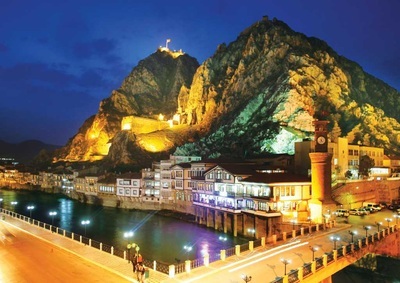 The magnificent handicraft, pupil and pearl of Amasya, famous Amasya Castle (Amasya Kalesi) is situated on the Hasan Mountain, west of the Yesilirmak River and centre of the city. 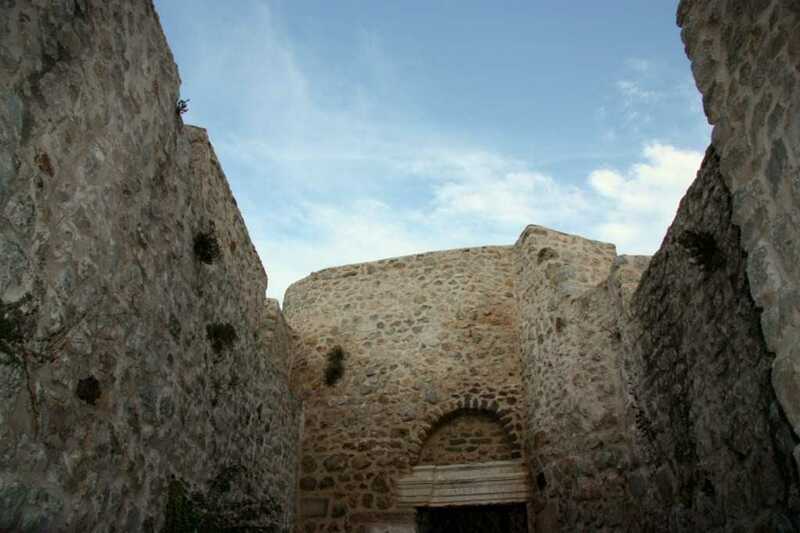 According to the western historians, this glorious castle, breath-taking structure was built by Pontus King, Mitridates in the Hellenistic Period. Surrounded by the city walls and Yesilırmak River, the castle has a rich story to Ottoman and Seljuk Periods from Hellenistic and Rome (Byzantine) Era. 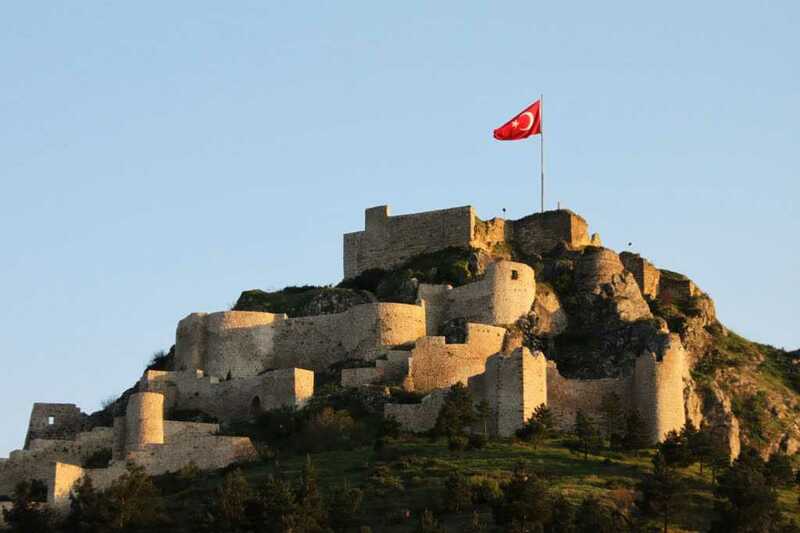 Within those times, this marvellous castle was generally used as military aims, defence and the other security reasons in order to be protected people against any attacks of enemies or conquerors. 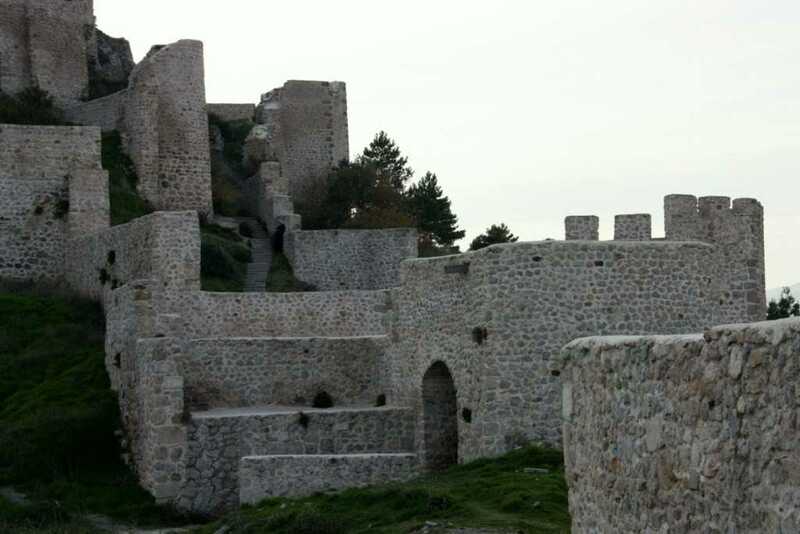 In addition that, after the Ankara War, Ottoman Sultan Celebi Mehmet hid himself into this castle as a defence due to his being defeated which is the main reason that geographical position of Amasya Fortress provides for those people a much safeguarded setting. 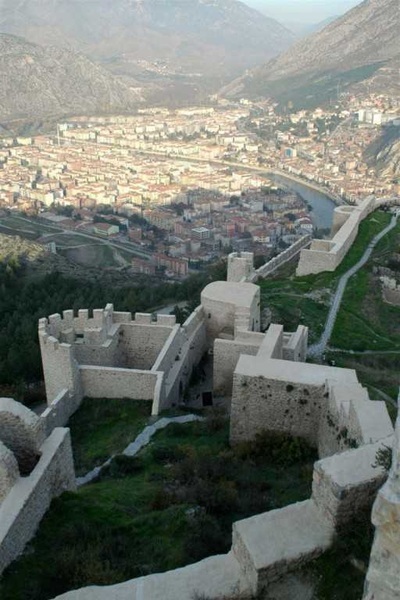 Also, once upon a time, the noble and rich citizens of Amasya kept their valuable materials, items, gold and money into this enchanting castle in order to protect from burglars or thieves. 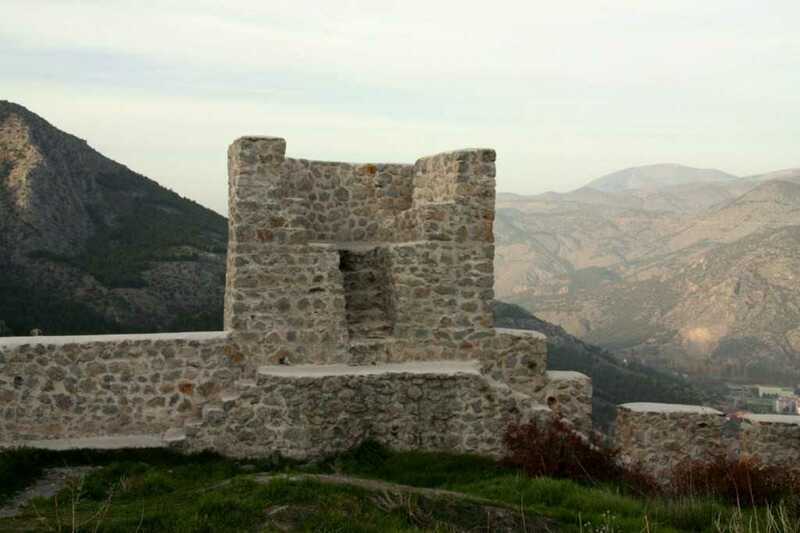 The castle has a splendid and complex architectural feature because every civilization added their cultures and traditions upon it. Therefore it is seen that Amasya Castle includes the cisterns, water tanks, the ruins of Turkish Baths also called as Hammam reflecting Ottoman Empire, The Rock Tombs of Pontus Kings carved into the soft rock arsenals (armouries) and warehouses, ruins of mosques, dungeons and a secret passage with 150 steps and 8m diameter named as Cilanbolu. Moreover, this castle has four special gates; these are Helkis, Maydonos, Meydan and Saray Doors. It is also separated two like Asagi Kale (Below Castle) and Yukari Kale (Upper Castle). Today, having dreamy landscape and dominating whole city, this wonderful structure enables the visitors to see Içeri Sehir, Kızlar Sarayı (Girls Palace), Harsena, Istasyon and Hükümet Bridges, famous Amasya Homes and mosques which grabs them.